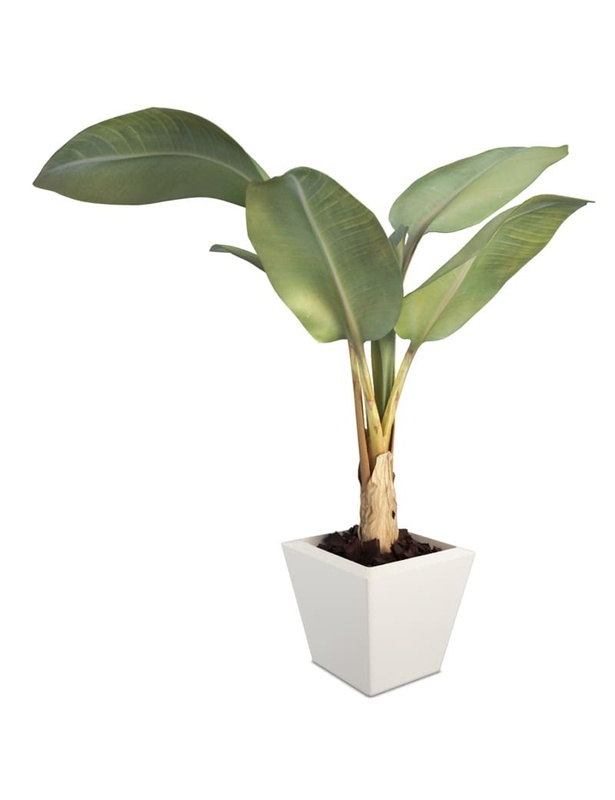 Tropical plant in 3D with its stonware pot. Detailled modelling of an exotic plant with long textured leaves. 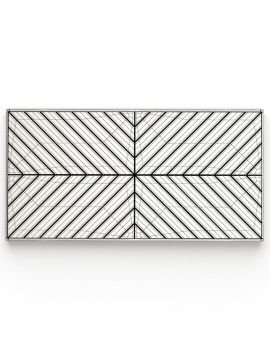 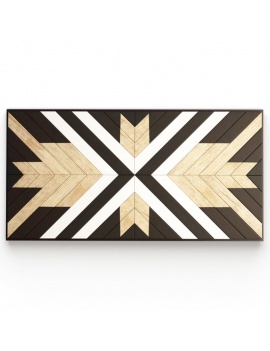 This 3d plant can give quickly a natural touch in your 3D interior. 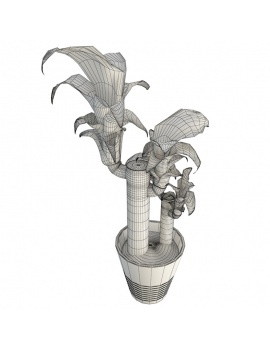 Dimensions of banana tree in 3D: W.155 x D.107 x H.148 cms. 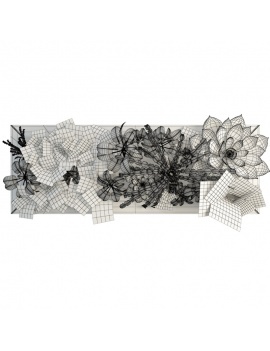 37 881 polygones and 38 299 vertices. 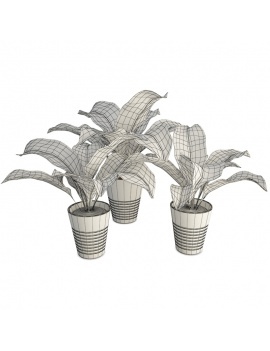 Different decoration plants told Diffebachia in 3d. 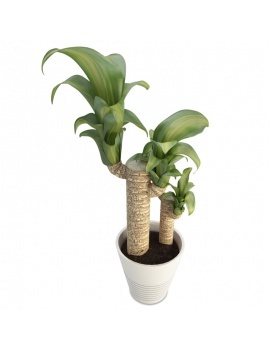 Dracanea plant in stoneware pot. 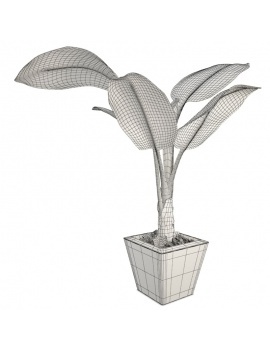 Detailled modelling of Dracanea plant pot. 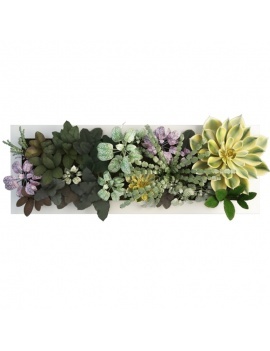 Bring a vegetal touch to your 3d scene with this wall floral composition. 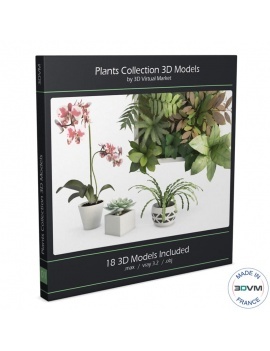 Collection of 18 3D Models of plants and flowers for your scene .